Troutrageous! Fly Fishing & Tenkara Blog: I Love Pflueger Reels...and the Rebates That Come With Them! I Love Pflueger Reels...and the Rebates That Come With Them! What can I say...I do. Full of Magnesium & Carbon Goodness! Lucky for you, there's also some nice rebates involved. From February 1st through June 30th, buy one of these and any filler spool of Berkley Trilene, Fireline or Vanish and get $15 off. Rebate form HERE. From February 1st through December 31st, buy one of these (actually any Pflueger reel or combo) and get a free Long Sleeve T-Shirt. Rebate form HERE. I got no skin in this game. Pflueger hasn't adopted me (yet). I'm just a Pflueger spinning reel fanboy. I can admit it. Strange, this didn't show up in my feed but I noticed it on facebook. Maybe something is wrong with blogger, that would explain my low traffic day. Or maybe I ripped the space time continuum with my "funny stuff" post. BTW - I really liked the neverending loop post. Okay, I'll confess that even though my fly reels are all old, my spinning reels are new. Pflueger makes some great reels. Supreme XT looks way cool and probably the better buy. You tell me. @Cofisher - Yeah, sometimes technology makes all the difference. @Big - I don't disagree with you. 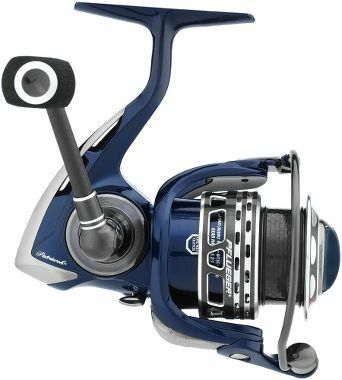 My Pflueger of choice is a $35 reel (Trion GX) I use with an ultralight setup for trout. It's just as smooth as the pricier models and quite simply doesn't need all of the extra bells & whistles. But then again so does a Honda Civic, doesn't mean you can't stare at pictures of Lamborghinis. Hey Mike. Realoly nice looking reels, but they put the handles on the wrong side. Just kidding, I know they are reversable. 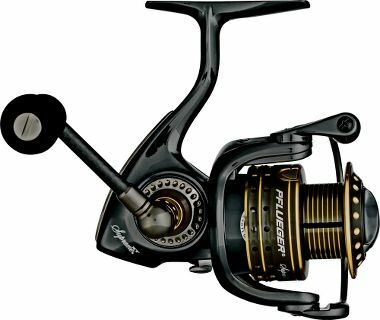 Those are some great looking new reels from Pflueger. I have the Pllueger President series and really enjoy it. Thanks for sharing, Mike! Mel, we have the President series on our pike poles. We like those quite well, however two christmas' ago Dustin got me a Supreme series for my ultra light spin rig, and it was terrible. We exchanged it for a Quantum something or other. We paid less money for the Presidents and like them a heck of a lot better than the more expensive Supremes.